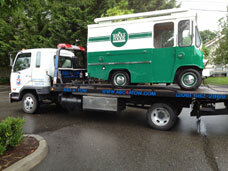 A trusted name in tow truck service for Ballard, WA since 1982, we are ABC Towing. Family owned and operated, we take pride in giving some of the best towing service possible at an affordable rate. With our team of friendly call takers, professional tow operators, organized response team, and heavy duty tow trucks, there is not a towing situation that we are not ready for. The main goal of our towing company is to provide quality, fast, and reliable towing service for the Ballard customer’s satisfaction. 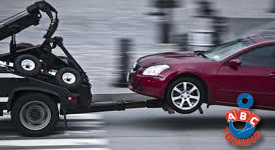 We are very proud to say that our towing company is one of the best in providing towing service here in Ballard. Our towing company uses only tow trucks that are in pristine condition. Operated by skilled tow operators, there isn’t a Ballard vehicle that can’t be towed. Fast and friendly service is what we provide our Ballard customers with here at our towing company. Starting with our team of efficient call takers to take note of your tow situation to maximize efficiency and send out the most appropriate tow truck for the tow job. 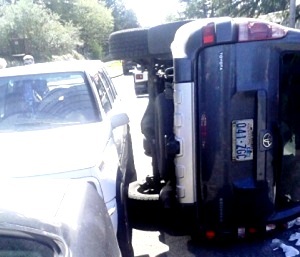 Our towing company can handle the most difficult tow jobs in Ballard imaginable. There is not a tow job that our variety of tow trucks cannot tow. We have the perfect tow truck for all specific tow needs. Plus, with our resourceful and professional tow team and tow operators, we guarantee to deliver the job fast and in the highest possible standard. Not every situation is the same. The type of tow truck varies with the size of vehicle that needs towing. We have the right tow truck for every situation in Ballard. Our tow trucks are well maintained and conditioned to withstand the harshest of weather and heaviest of loads. Our tow trucks are guaranteed to be there to attend to your immobile vehicle.